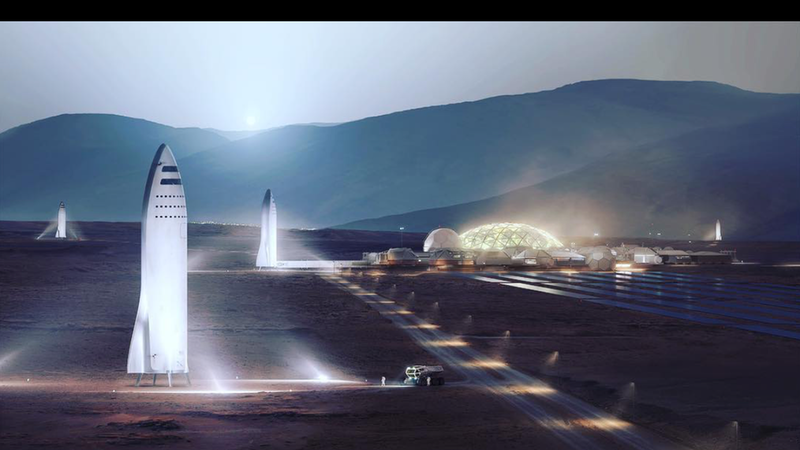 Elon Musk outlined his latest vision for going to Mars, showing the rocket he hopes will travel to the red planet as early as 2022, with possible manned missions by 2024. The same rockets, he said, could transport people from any city on earth to any other city in under an hour. The bottom line: Hugely optimistic timelines are a Musk trademark, so take it with a grain of salt. Still, who else dreams this big? Here are some tweets from Musk and SpaceX, along with a concept video of earth-to-earth travel.